First Taekwondo is a traditional non-competitve martial art and therefore reaches much further than mere Self Defence effectiveness. The discipline, mental training and varied techniques of First Tae kwon-do also provide the grounds for engendering in the practitioner a strong sense of confidence, fortitude, compassion, humility and resolve. It is this vital conditioning that separates the true practitioner from the one who has mastered only the physical aspects of the martial art. Expertly Taught by qualified Instructors, regular practice of First Tae Kwon Do ensures limitless benefits for fulfilling way of life. Goal Setting & Achievement strategies. The ancient art of Tae-Kyon evolved during the Silla Dynasty approximately 1300 years ago in Korea. This primitive art of unarmed combat was first practiced by monks. Read more. 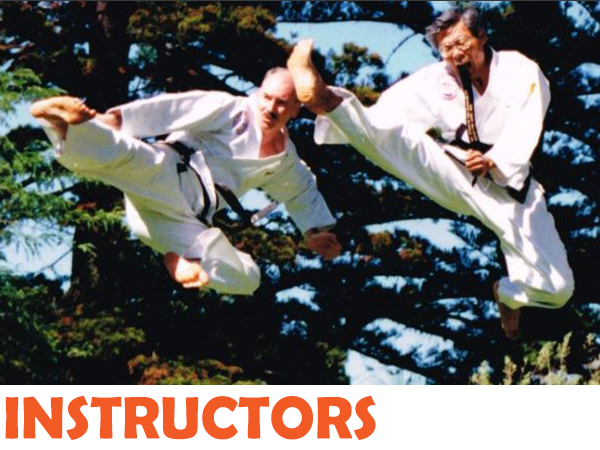 First Taekwondo instructors are officially appointed by the organisation. The Instructors are specially selected with great consideration and are carefully trained to bring out the best in their students. Read more. 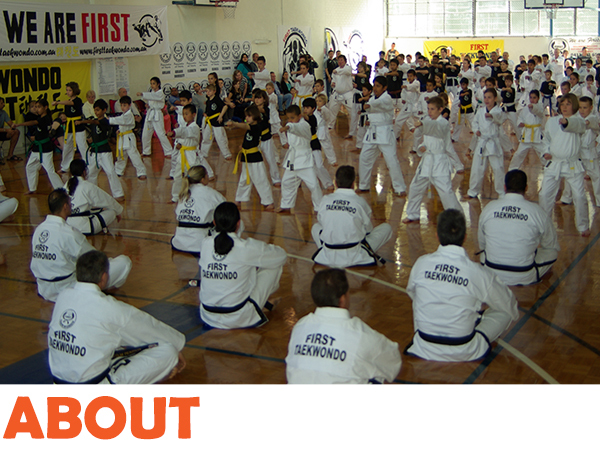 First Taekwondo classes are available in and around the Perth Region. 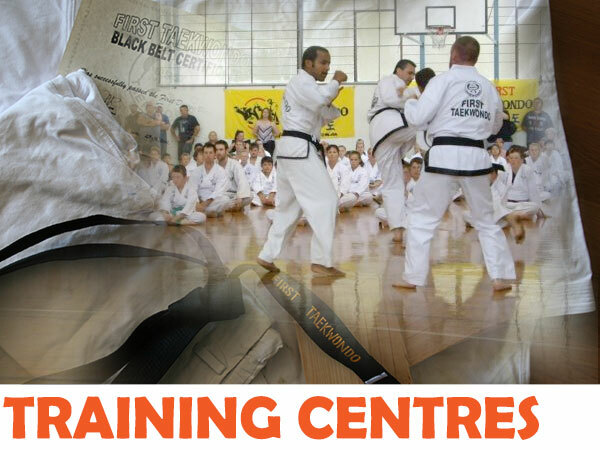 Please click on the Training Centres link to find a class near you. Read more.